OAKVILLE, Ont. 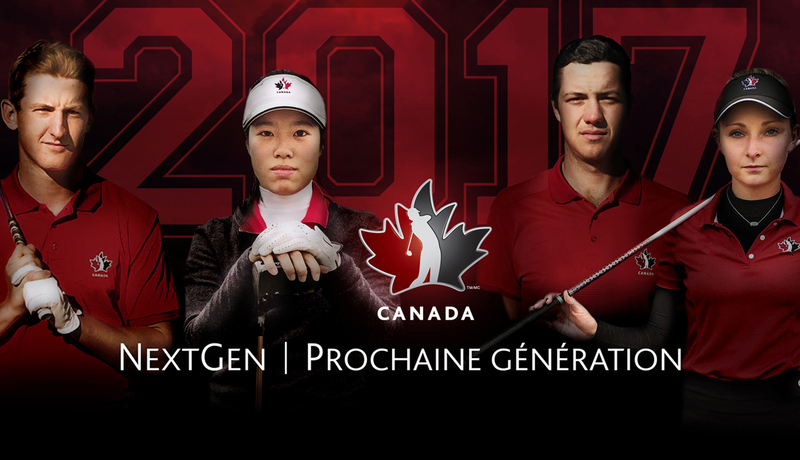 – Golf Canada is pleased to announce the athletes who have been chosen to represent Team Canada as part of the 2017 National Amateur Squad and Development Squad programs. In all, eight athletes comprise Team Canada’s National Amateur Squad including four players on the men’s team and four on the women’s. The National Development Squad—primarily a U19 program—will also feature eight players (four men and four women). The Development Squad is designed to help facilitate the continued development of Canada’s top young talents. Complete Development Squad player bios can be found here. Golf Canada is also pleased to announce the 2017 Team Canada coaching staff with Derek Ingram returning as Men’s Squad Head Coach, supported by Robert Ratcliffe who will also head up the Development Squad. On the women’s side, Tristan Mullally returns as Women’s Squad Head Coach and will receive support from Ann Carroll, who will oversee the Women’s Development Squad specifically. All coaches are all class “A” professionals with the PGA of Canada. The athletes named to the 2017 National Amateur and Development Squads are a product of a circle of support that includes personal coaches, parents and high performance activities conducted by the respective provincial golf associations. The 2017 Young Pro Squad team selection is expected mid-November. Jared du Toit makes his return to the Amateur Squad after his captivating performance at the 2016 RBC Canadian Open, where he played in Sunday’s final group and would finish in a tie for ninth to win the Gary Cowan Award (low amateur). Growing up in Kimberley, B.C., and now based in Calgary, du Toit’s impressive 2016 campaign also featured Top-5 finishes at the Monroe Invitational and Porter Cup, as well as a T15 result at the Canadian Men’s Amateur. The 21-year-old was also a part of the three-man team that lifted Canada into a share of ninth at the 2016 World Amateur Team Championships. On the strength of five Top-10 NCAA finishes in his junior season, du Toit earned the nod as team captain for his final season with the Arizona State Sun Devils. Also making his return to the Amateur Squad is Mont-Saint-Hilaire, Que., native Hugo Bernard. 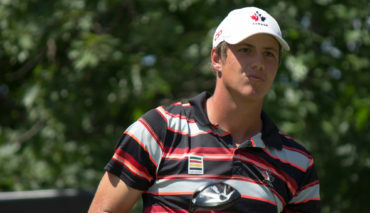 The 21-year-old’s season was highlighted by a victory at the Canadian Men’s Amateur Championship, an event in which he finished runner-up the year prior. Bernard made a lasting impression in his rookie campaign with the Saint Leo Lions, posting six Top-5 finishes in eight events, including medalist honours at the NCAA Div II Championship. His efforts at Saint Leo earned him Freshman of the Year honours to go with being named as a first-team all-American. 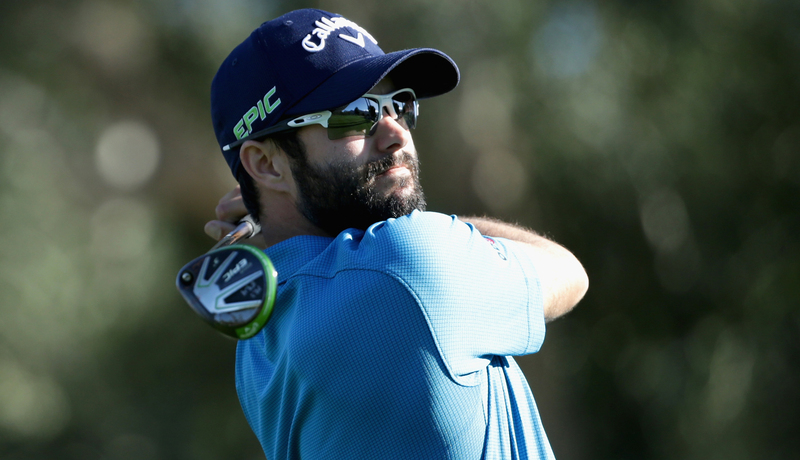 Bernard was also one of three to compete for Canada at the World Amateur alongside teammate du Toit. He boasts victories earlier in his amateur career at the Quebec Men’s Amateur in 2013 as well as the 2012 Quebec Junior Boys Championship. The third returnee to the men’s squad is Vancouver native Stuart Macdonald. The 21-year-old recently graduated from the University of Purdue, where he amassed seven Top-10 finishes over his collegiate career with the Boilermakers. His 2016 campaign was underlined by a third place finish at the Canadian Men’s Amateur alongside a T35 result at the Jones Cup. 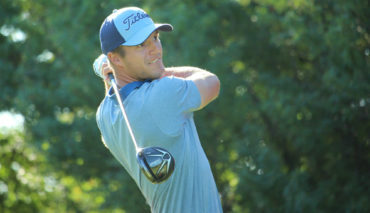 Macdonald took home runner-up honours at the 2015 B.C. Men’s Amateur. The lone rookie on this year’s men’s squad is Bath, Ont., product Austin James. James has been on the cusp of making the national team before breaking through this year on the heels of an exemplary junior season at Charleston Southern that saw him earn Big South Player of the Year honours in addition to capturing medallist honours at the Big South Championship. James was a quarter-finalist in the 2015 U.S. Men’s Amateur and also holds the 2014 Canadian Junior Boys title. The 21-year-old has strong family ties to golf, with sister Augusta being a staple with the women’s program—most recently as a member of the Young Pro Squad—and father Geoff acting as the Head PGA of Canada Professional at Loyalist Golf & Country Club (the family’s home course). On the women’s side, the Amateur Squad is headlined by three-time returning member and dual-citizen Maddie Szeryk, who’s 2016 season included a victory at the Florida State Match-Up to go along with a T14 finish at the Canadian Women’s Amateur. In two seasons with Texas A&M, Szeryk has collected 12 Top-10 finishes in addition to being twice named to the First-Team All-SEC as well as SEC Freshman of the Year in 2014. The 20-year-old helped Canada finish ninth at the 2016 World Amateur as one of three Canadians to tee-it-up in chase of the Espirito Santo Trophy. The Allen, Tex., resident notched victories at the Ontario Women’s Amateur in 2015 and the Canadian Junior Girls Championship in 2013. Victoria, B.C., native Naomi Ko solidified her return to the Amateur Squad after an impressive 2016 campaign that featured wins at the Canadian Junior Girls Championship and PNGA Women’s Amateur, plus Top-10 performances at the Canadian Women’s Amateur, Porter Cup and World Amateur Team Championship. Her freshman season with N.C. State was highlighted by a T5 finish at the ACC Championship. Ko, 19, won the B.C. Junior Girls Championship title in 2014. Entering her second year with the Amateur Squad, 2017 marks Ko’s fifth year with the Team Canada program—she was on the Development Squad from 2013-2015. Calgary’s Jaclyn Lee also returns for a second year on the Amateur Squad. Lee’s summer was highlighted by winning the Marlene Streit Award (low amateur) at the CP Women’s Open in addition to winning the Alberta Ladies Amateur title for a second time. The 19-year-old recorded a T3 finish at the Porter Cup while also making the quarter-finals at both the PNGA Women’s Amateur and North & South Women’s Amateur. The former CN Future Links Junior Skills Challenge National Event winner grabbed a share of 27th at the Canadian Women’s Amateur. Lee added two Top-10 collegiate finishes in her freshman year at Ohio State. Rounding out the women’s team is 18-year-old Grace St-Germain. The Ottawa product makes the jump to the Amateur Squad after spending two seasons with the Development Squad and one with Team Ontario. St-Germain took home the hardware at the Ontario Women’s Amateur in 2016, while adding a runner-up finish at the Quebec Women’s Amateur for the second straight year—an event which she won in 2014. She closed her season with a T20 finish at the Canadian Women’s Amateur and a share of ninth at the Canadian Junior Girls Championship—also a title she held in 2014. St-Germain joined the Daytona State Falcons—an NJCAA school—as a freshman in September.